�����Gold and Silver have rebounded in the last week and premiums for U.S. Gold are beginning to widen once again. Demand for $10 and $20 Gold has increased and dealers have advanced their buy prices $30 to $60 for the most common dates. 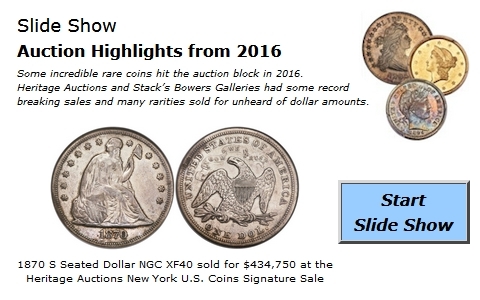 Circulated Silver Dollars are back up to $30,000 a bag for VG and better. Silver bags are trading at $25,750. Proof Silver Eagles wholesale at $72 with original packaging and the one ounce Proof Gold Eagles are at $1,710. �����This week there are only minor changes in the Moderns Wholesale Market Dealer Price Guide. The metals are fairly close to what they were in the last issue, even though prices have varied up and down since. We are beginning to fill in some of the more recent Market prices for the 2010 and 2011 coins where market prices have begun to stabilize. The Lincoln Cents through Kennedy Half Dollars have been included for most grades through PR69. The Modern Eagles now include the 2011 issues. Also, in the Modern Eagle chart the 2009 UHR has several decreases as dealers reduce their prices. The MS69 is now at $2,200 and the MS70 is $2,550. �����Results from the recent Summer FUN Show are mixed. Most dealers participating in dealer to dealer sales did fairly well, while retail dealers felt business was somewhat lacking. The summer months can be a very slow period for many dealers and collectors. The rising metals at the end of last week tended to help sales for U.S. Gold. Demand was stronger than it was in the last month and most dealers feel that Gold may be headed to newer highs in the next few weeks.